NIX is the leading brand for Digital Photo Frames in the U.S. With 10 years of experience and dedicated customer service team, we are committed to delivering high quality frames and services that allow you to display digital memories in a sophisticated way. To assure you of the quality and service we provide, we give you a full 1 Year Part's & Labor Warranty at the time of purchase. Need to display all your digital photos? 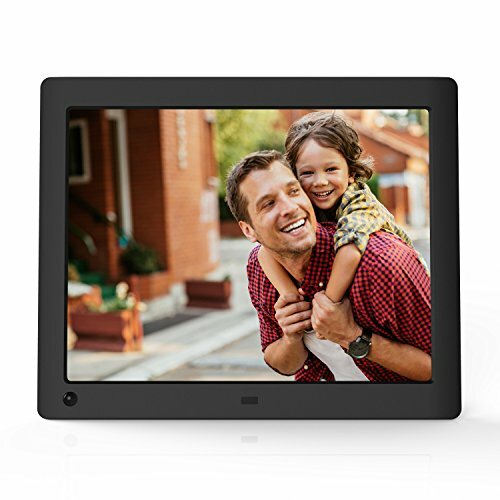 The NIX Digital Photo Frame is the most simple and affordable solution to display all your digital moments. Just plug in your USB stick or SD/SDHC card and see all your photos play in front of you! It's that easy. This frame is perfect for everyone from professionals, to parents and grandparents who just want a frame that works with the convenience of not having to actually operate it. Combined with an intuitive remote, it's a breeze to get started. With a High Resolution LED Backlit Display, enjoy all your (JPEG) photos with amazing detail and clarity. The Frame can also be used to play (MPEG-4 / AVI) videos. When the frame activates after sensing movement it can either play photos or videos. Combined with a simple, clear remote control, it's a breeze to get started. For ultimate convenience, the frame comes with our trademarked 'Hu-Motion' Sensor that turns the frame on when you enter the room and off when you leave the room! Set the frame to switch off after sensing no movement in time increments from 5 minutes to 1 hour. If you have any questions about this product by NIX, contact us by completing and submitting the form below. If you are looking for a specif part number, please include it with your message.